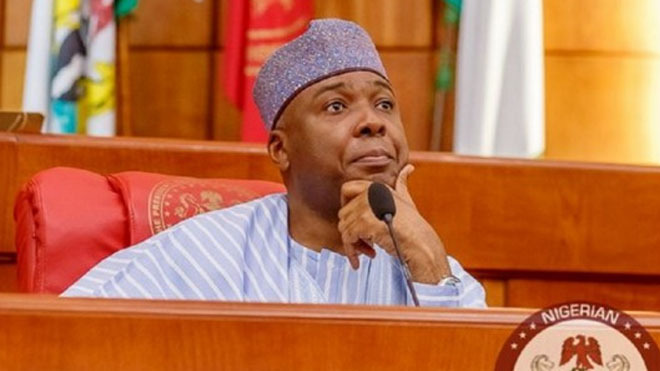 The National Industrial Court, Abuja, on Monday struck out a suit filed against the Senate President Bukola Saraki and National Health Insurance Scheme (NHIS), for lack of jurisdiction. The claimant, Association of Senior Civil Servants of Nigeria, NHIS chapter, instituted the suit challenging the employment exercise carried out in 2013 and 2014 by NHIS. The claimant had alleged that the employment was an exercise marked with irregularities and was not in conformity to laid down administrative procedures. Justice Sanusi Kado in his ruling held that the court lacked the jurisdiction to hear the matter and accordingly struck it out. Kado said the claimant as an association lacked legal capacity to institute a suit against the defendants. According to Kado, the evidence before the court showed it was a faction of the association that was aggrieved by the employment exercise. He said the decision to institute a suit challenging the exercise should have been brought by the aggrieved members of the association and not the association itself. The defendants’ counsel, Osikhena-Boih Donald, said the staff whose employment was being challenged brought the association before a public hearing of House Committee on Health of National Assembly in 2017. Donald said investigations and findings from the hearing gave birth to a Senate Resolution that nullified the stepping down of the grade level of the NHIS staff. The counsel alleged that it was in an effort not to comply with the resolution of the senate that the association instituted the suit against the defendants. The claimant joined the Chairman, Senate Committee on Health, National Assembly and Minister of Health, as co- respondents in the suit.